Smores. I thought everyone knew how to make them. But we visited my cousins, and they had never heard of smores. That got me thinking. Where did smores come from anyway. 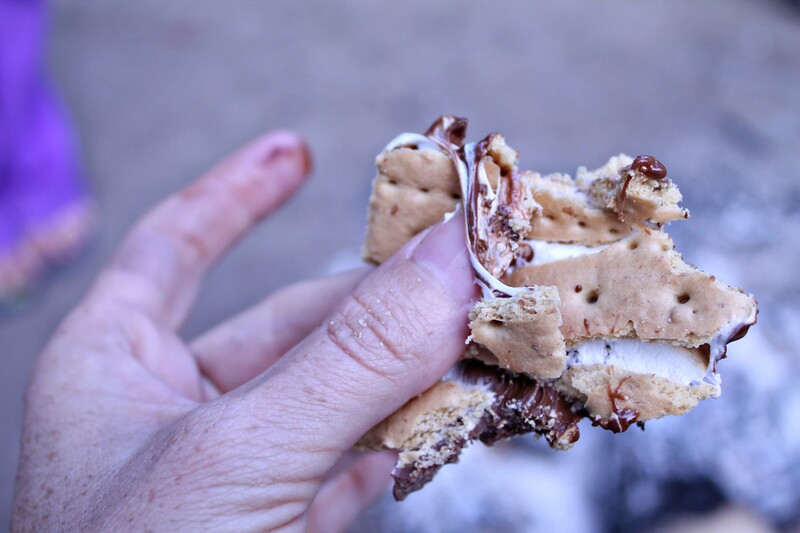 Who was the first person that thought about roasting a mashmallow over a fire and turning that ooey-gooey mess into a sandwich? INGREDIENT #1: People/Friends/Neighbors/Family. First off, S’mores require company. No one makes a s’more all for themselves in the kitchen. 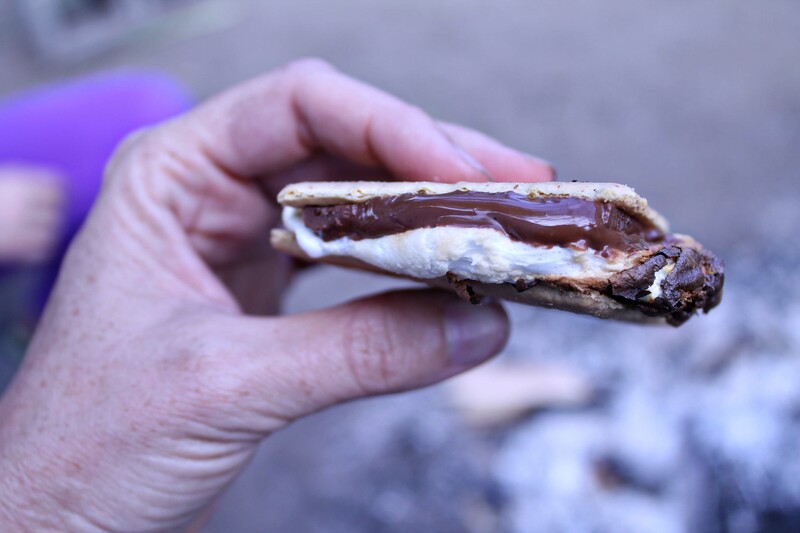 I can’t actually say that I have ever even craved a s’more. 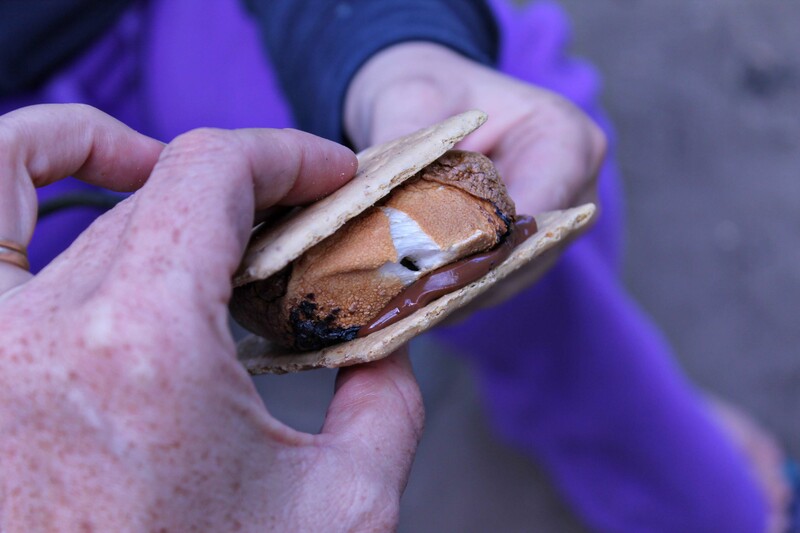 S’mores are to be eaten with friends, so gather them around. INGREDIENT #2: Fire. 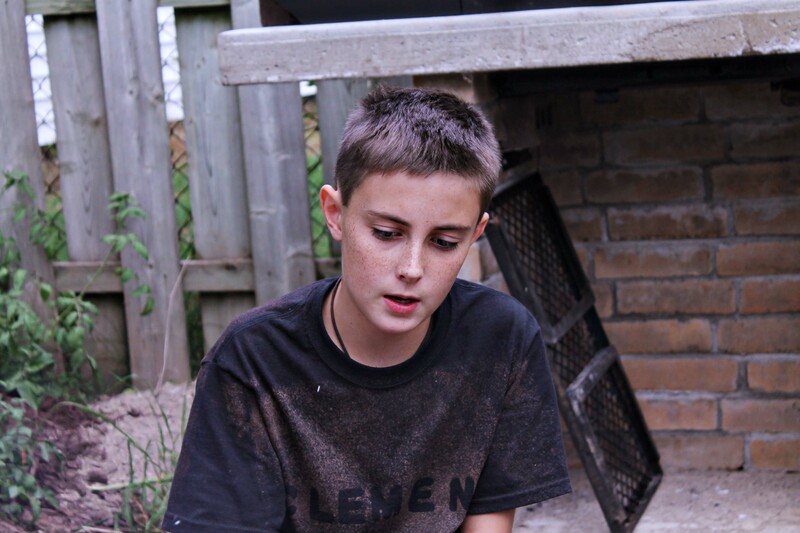 Build a fire in a safe place and in a safe way. Fire is magical people want to sit around a fire. 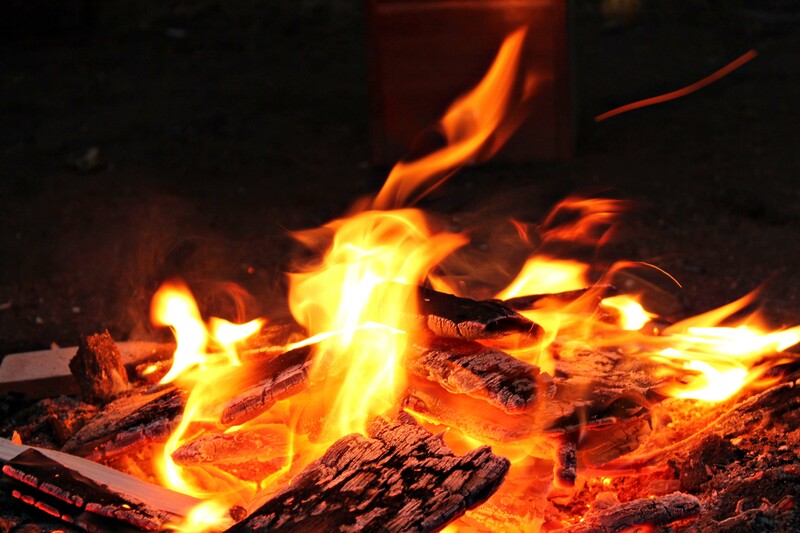 People will open up and talk around a fire. 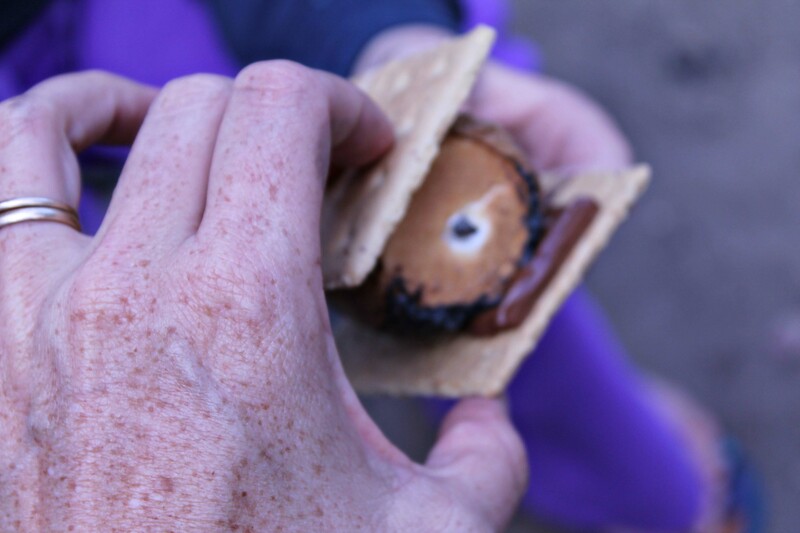 I think S’mores were invented as an excuse to stay around the fire longer. 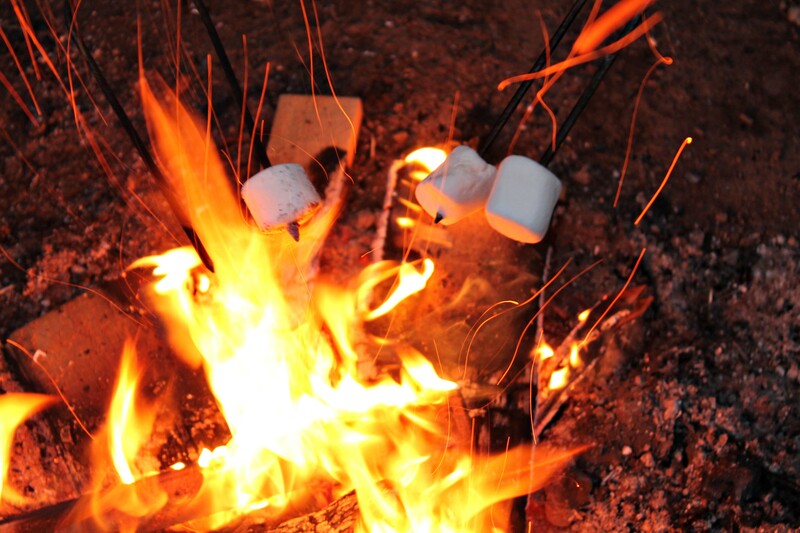 The fire needs to die down to hot coals for the best S’mores, so sit back, relax, and visit. It will be awhile before a good S’more fire is ready. INGREDIENT #3: Chocolate. The kids will have all dispersed by now. They will be playing Kick-the-Can, or Ghost -In-The-Graveyard, or Flashlight Tag, or some other game. If you want them to regroup near the fire, all you have to do is open up the chocolate. 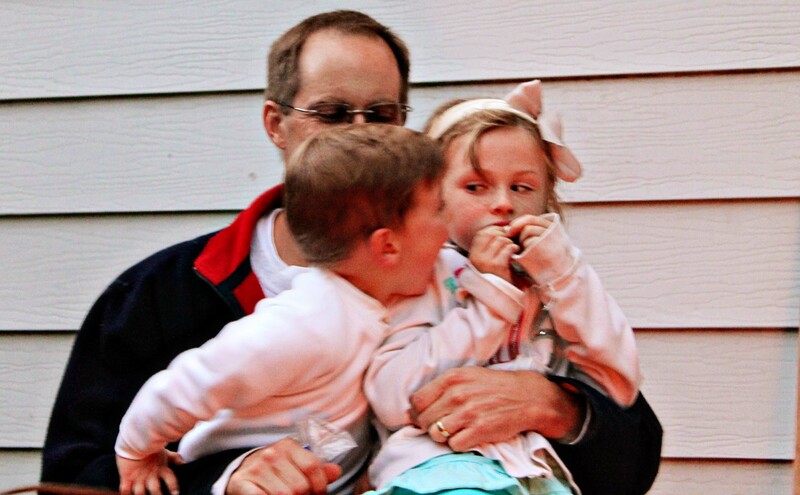 Kids have special powers that allow them to hear the opening of candy bags. 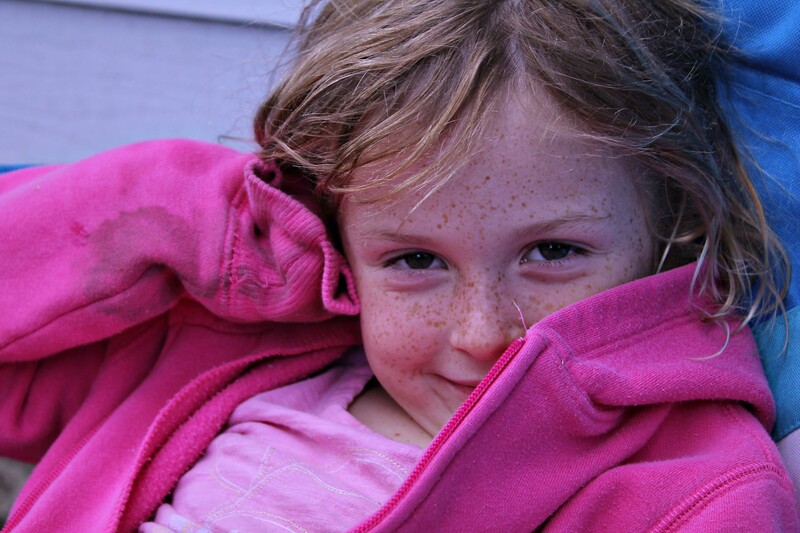 Kids also have a super sensitive olfactory power that allows them to smell out candy. Somehow, they KNOW when you open up the chocolate bars and they will regroup by the fire. 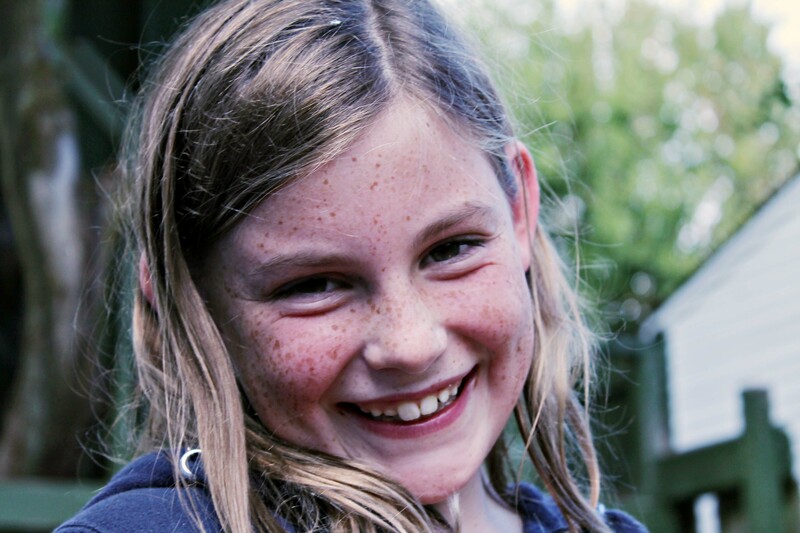 Your moment of peace will be gone, but the excitement of kids about to roast marshmallows will be contagious. 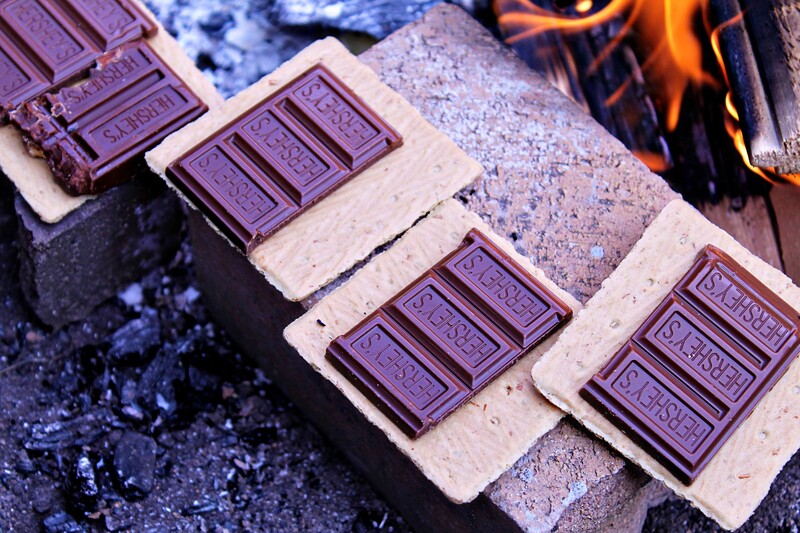 Place the chocolate squares on graham crackers right near the fire. 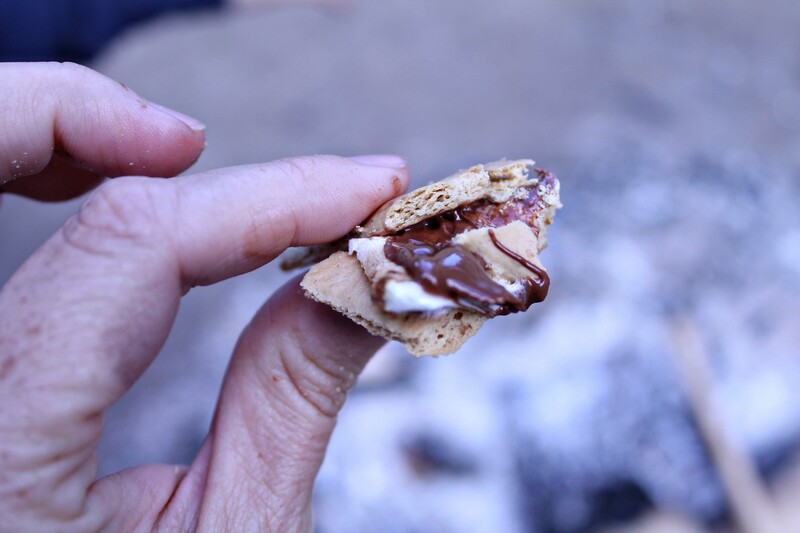 You want the chocolate to get soft and glossy and melt in your mouth when you eat your smore. INGREDIENT #4: Marshmallows. 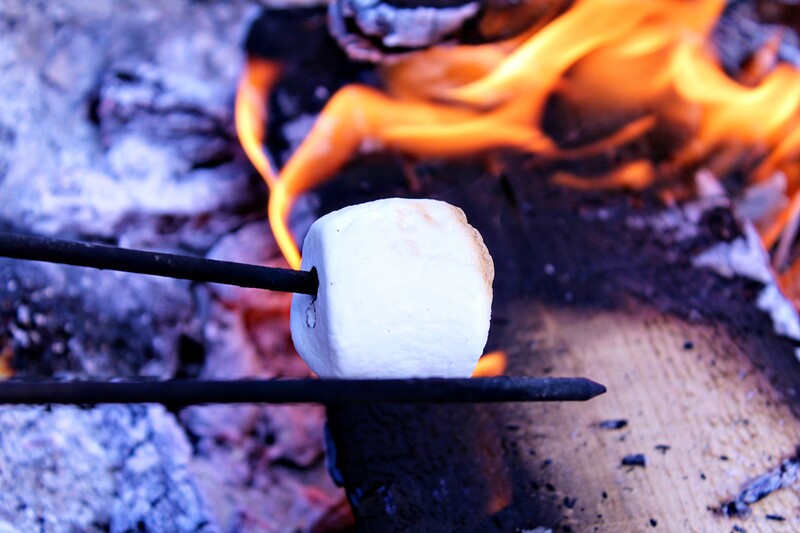 There is a fine art to roasting marshmallows. You want the outside toasted brown all the way around, and soft on the inside. 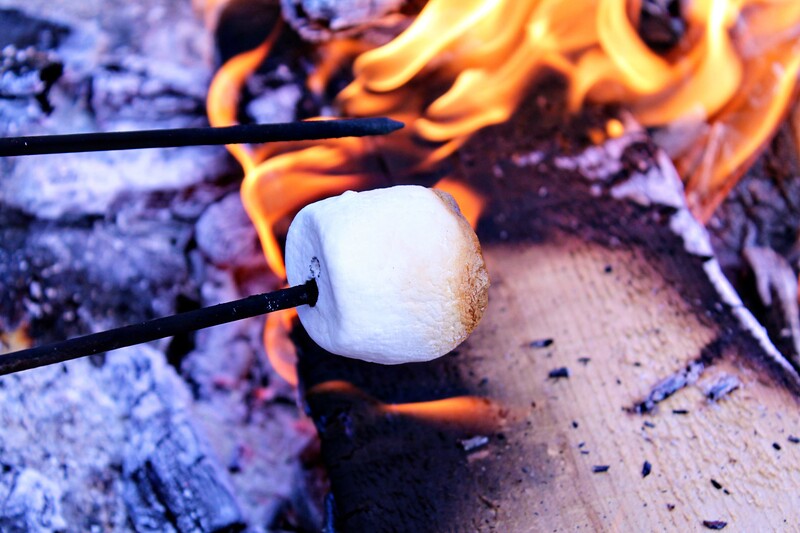 Marshmallow roasting is an easy art to perfect as marshmallows are cheap. I usually burn the first one, tap the second one in the ashes, have the third one drop off the end of the stick, and maybe by the fifth one have a toasty, roasty, ooey, gooey, marchmallow. 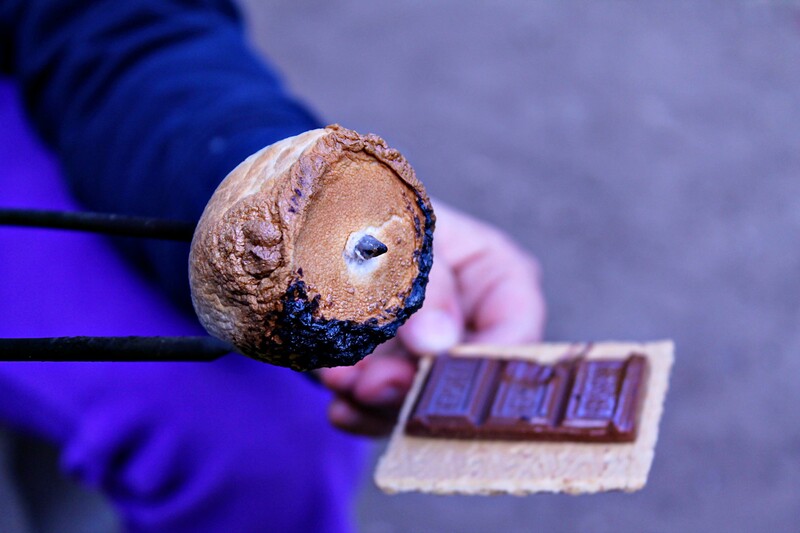 Now you pick up the graham cracker with the glossy chocolate on it and place your roasty, toasty, ooey, gooey, perfectly browned marshmallow on top. Add a second graham cracker on top (to make a sandwich), and gently squeeze all that sugar together. Now you can slide the roasting stick out. Trapped between the two graham crackers is your roasted goodness. Squeeze down to squish everything together. Squeeze some more–until chocolate begins to ooze out the side. Then squeeze a little more, and take a great big bite. And another big bite. MMMmmmmmMMMM! Lick your fingers off after the last ooey-gooey bite is popped in your mouth. Kiddos love to make these, and they all want me to eat the ones they make. 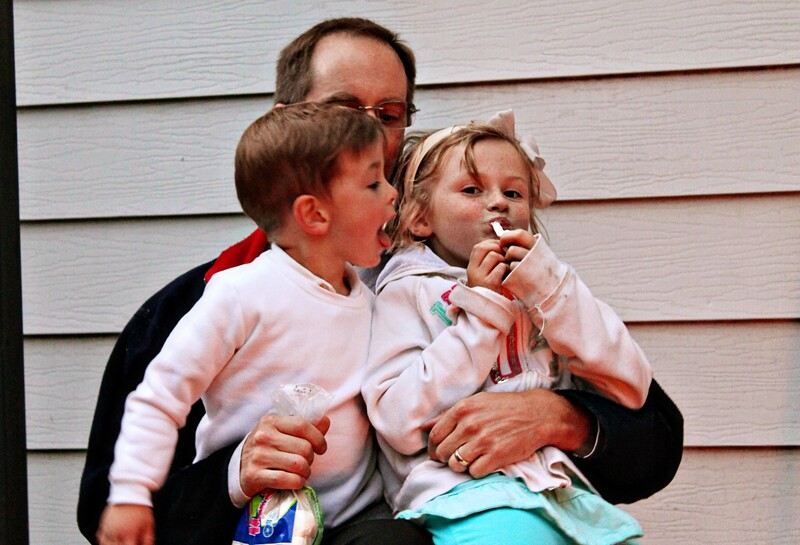 I love A smore–not 6 smores, but I love my kiddos more, so I usually find a way to at least start each smore thy make me. 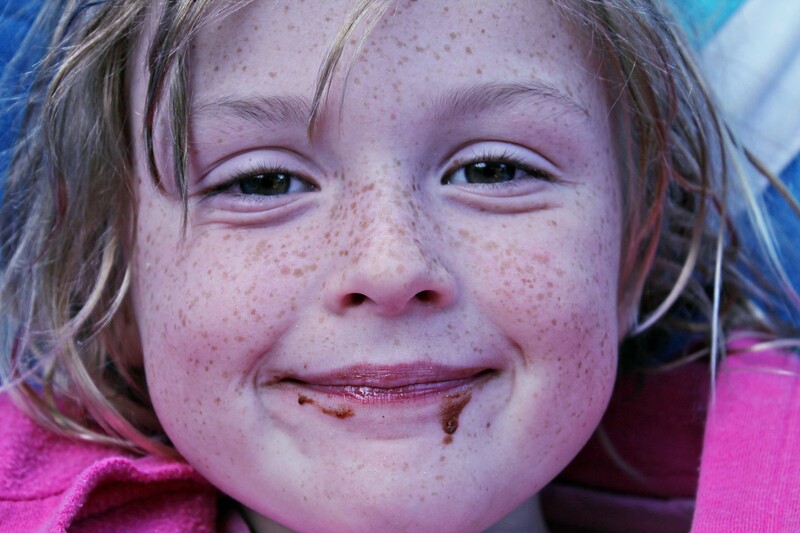 This is the portrait of a contented smore eater. 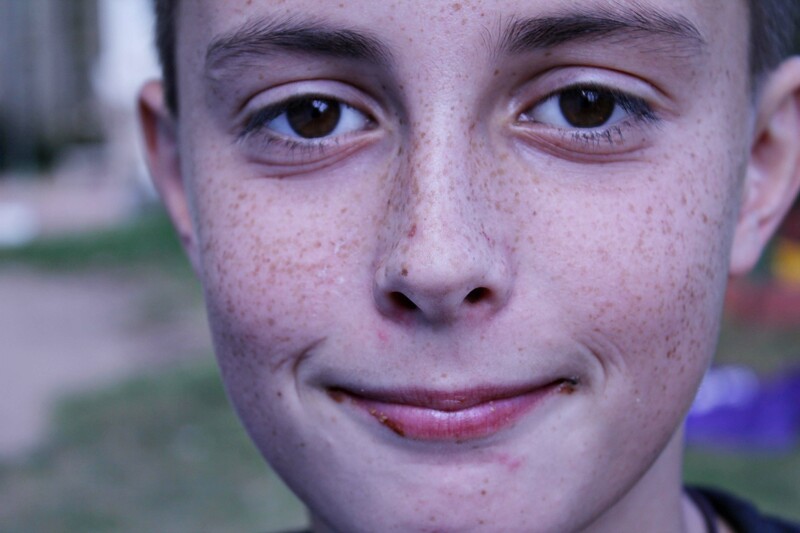 And this is a portrait of my boy who is not going to be a boy much longer. 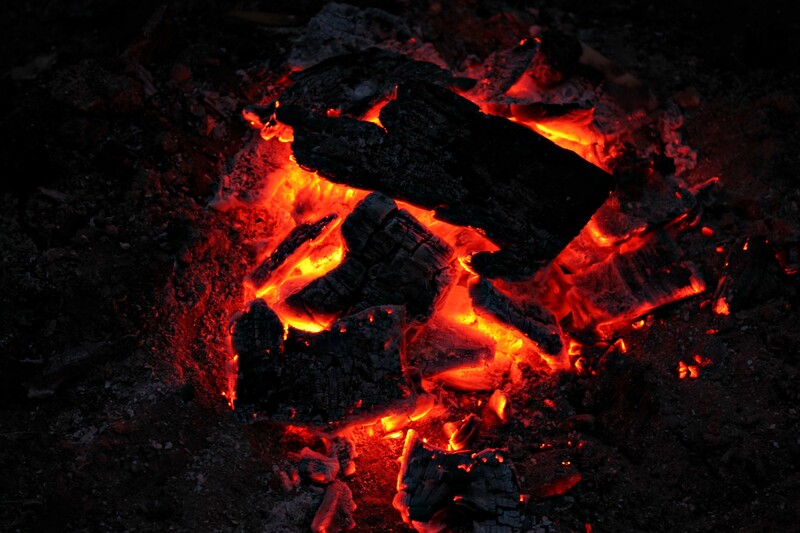 Sit around the fire until is dies all the way down to embers. Enjoy the time with your friends and family. That’s all folks. There isn’t any smore. 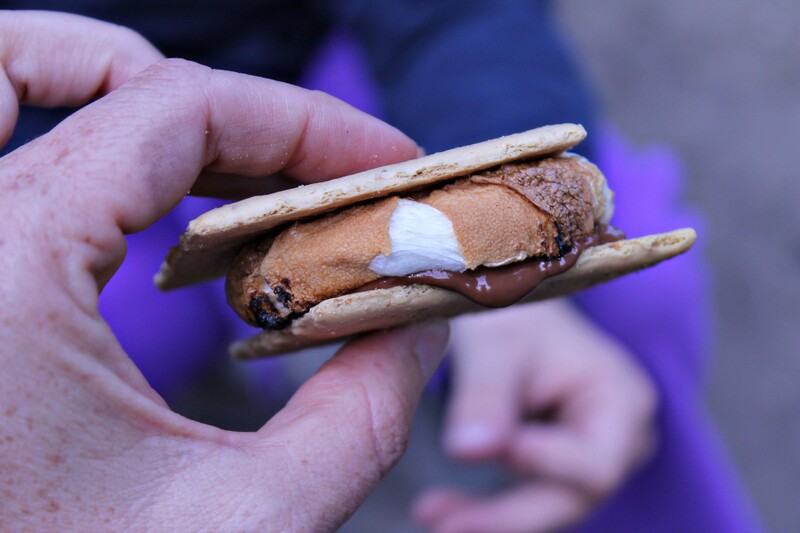 This entry was posted in Recipes and tagged history of smores, how to make smores. Bookmark the permalink. I am getting hungry …again. 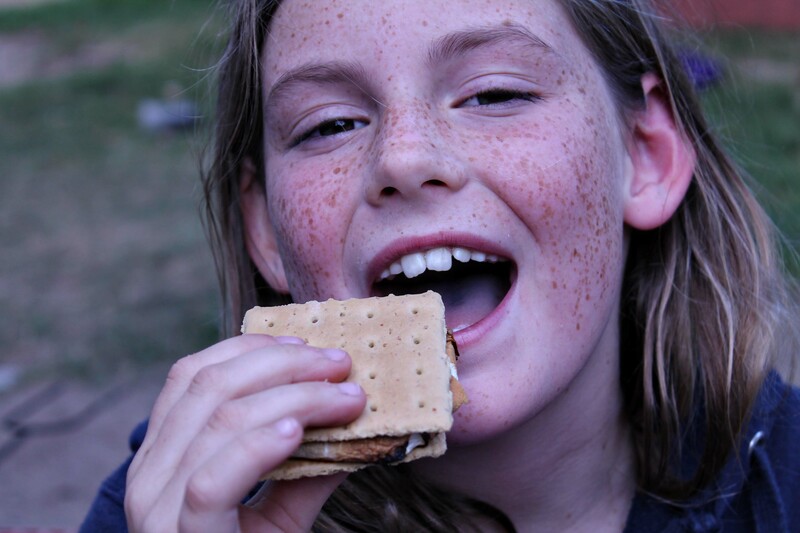 I am pretty sure I will taste a smore next weekend at Pine Lake. Pine Lake…wow, I went to Pine Lake Middle School. 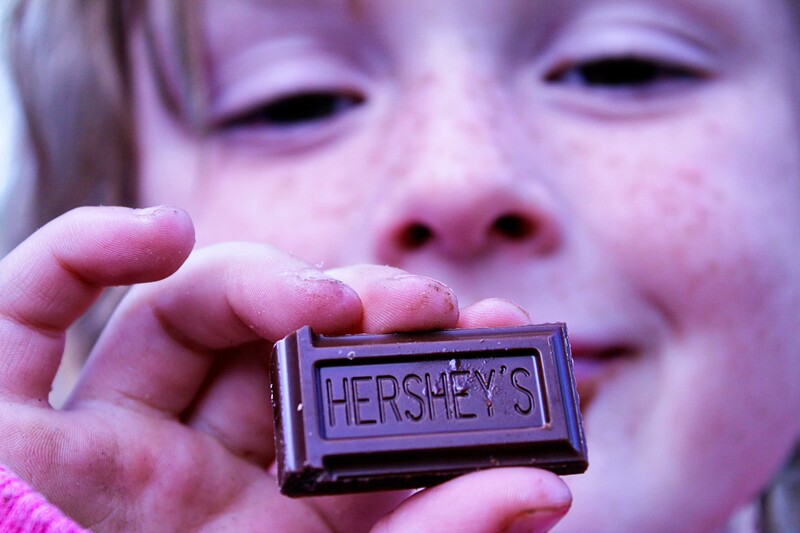 S’mores are one of those foods that triggers sensory memories in most American kids.